Gorillas play an important role in the tropical forests in which they live. They help disperse seeds throughout the forests and create places where seedlings can grow and replenish the forest. This is vital to the other animals that share their habitat, as well as humans who live in and around the forest and rely on that regrowth to sustain their environments. The World Wildlife Fund lists two species of gorilla, eastern (Gorilla beringei) and western (Gorilla gorilla), which are subdivided into two subspecies of the upland and lowland variety. These gorillas all live in equatorial Africa, the only place where gorillas can still be found in the wild. The two species are separated by about 900 kilometers of forest. The most numerous subspecies is the western lowland gorilla (G. g. gorilla), but they are still endangered. Their particular habitat, not surprisingly, is the lowland and swamp forests of central Africa. There, the western lowland gorilla maintains a diet of more than 100 fruits, as well as pith, shoots, leaves, and in dry months, bark and even pests like weaver ants and termites. This diet helps to disseminate the seeds of the plants they eat and control pest populations. Populations of the highland variety of western gorilla, or Cross River gorilla (G. g. diehli), are so small that they were entirely unknown to scientists until early in the 20th century. 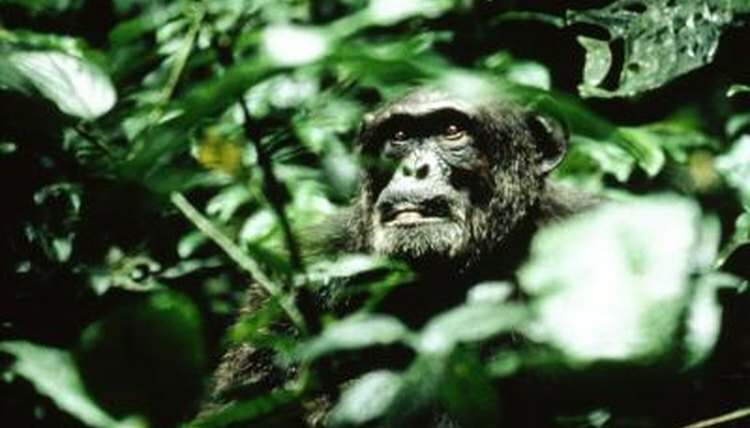 They are only found on montane and bamboo forests on the edge of Cameroon and Nigeria. There are only a few hundred left, and because populations are so small, they are losing genetic diversity through inbreeding. Their function in their local forest ecology is similar to that of other gorillas, spreading seeds and helping them grow, but their forests are unprotected and may disappear before the gorilla population does. Like the Cross River gorilla, eastern lowland gorillas (G. b. Graueri), also called Grauer's gorillas, are restricted to a small area. They can only be found in lowland and low montane forests in the Democratic Republic of the Congo. Their numbers are not believed to be as small as the Cross River's, but conflicts in the DRC have prevented any reliable census for more than a decade. Due to poaching and human encroachment, there may be as few as 1,700 remaining. The mountain gorilla (G. b. beringei) can be found in the high montane and bamboo forests in a handful of areas of central Africa. They endured similar threats to what Cross River and eastern lowland gorillas faced, uncontrolled hunting and encroachment, but conservation efforts have their numbers on the rise. Unfortunately, the human demand for land may supersede any benefit the highland forests may gain from a growing mountain gorilla population.